Wish your users could get in touch as easily as they can surf? It's your lucky day! Let's go over the steps necessary to implement click-to-call in a Java and Servlets application. A website visitor submits a web form with a phone number. Your web application receives the submission and initiates an HTTP request to Twilio asking to initiate an outbound call. Twilio receives the request and initiates a call to the user's phone number. The user picks up the call. After the call connects, we provide TwiML instructions to connect the user to our sales or support teams. 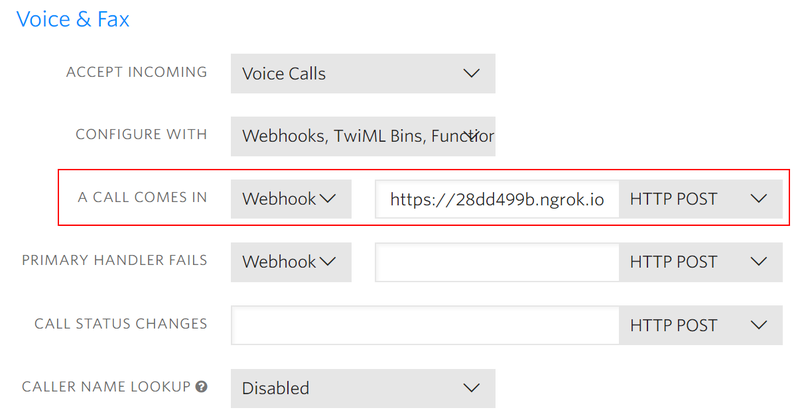 This tutorial demonstrates how to initialize a call using the Twilio REST API and how to create a call using the TwiML Say verb. Before we create our click-to-call application, we need to set up our environment first. Let's put our Twilio credentials in a place where our application can access them. For this tutorial, we'll store them in environment variables that our application can read. 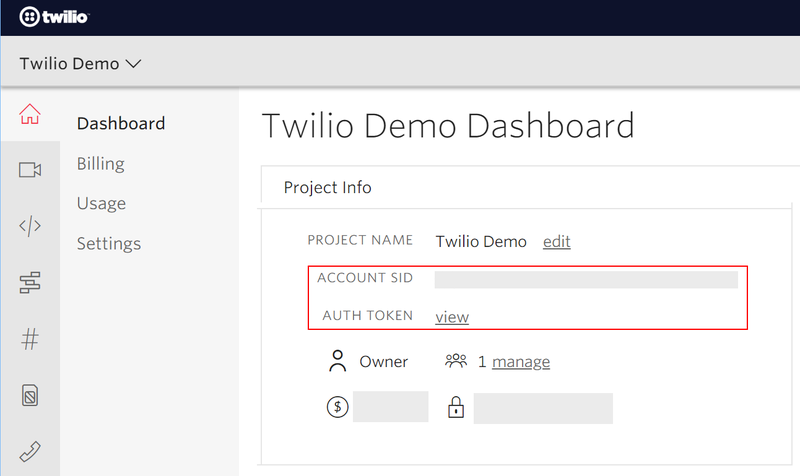 Replace the Account_SID, Auth_Token, and Twilio_Number placeholder values with your unique values, which you can find in the Twilio Console. You can use an existing Twilio phone number or obtain a new number. Next, let's look at making a friendly web form. For our solution, we'll need a form where the user can enter a phone number. No need to overthink this step as the real goal is to POST the user's phone number to your controller. What information does this form need? Since the page doesn't need to render new content after clicking on submit, we decided to implement the POST action via AJAX using jQuery. Let's take a look at that part next. To make the click-to-call feature more seamless, we used Ajax to send the form asynchronously. This is a common implementation of jQuery's $.ajax() method. Notice that we are returning the response message when the call has connected. Now that we have the front end done let's build the back end that will receive this data. We'll start our exploration in the next step. We'll use the client object with our Account SID and Auth Token to make an outgoing phone call which requires us to pass a From number, a To number and a URL Parameter that tells Twilio what to do after it connects the call to our user. In this case, Twilio needs to DIAL in the Agent once the call has been placed. We'll discuss this more in future steps. The client object is essentially our Java REST API handler, which we could use to send SMSes (or a myriad of other things). For now, we just need it to get access to a CallFactory which is what we're going to use to create phone calls. A publicly exposed URL has some drawbacks. Next, we'll look at making sure we don't leak any sensitive data. Twilio makes a request to our application when the call is created using the REST API. That means we've got an endpoint that is publicly available for internet requests. Since TwiML sometimes contains sensitive information such as phone numbers, we don't want just anybody accessing the TwiML. With that in mind, let's first check if the request originated from Twilio before we return any TwiML. The validate method provides a mechanism to confirm that the request your application is receiving is coming from us. We use an instance of RequestValidator and call the validate method using the required parameters. Now that we know a request originates from Twilio let's move on and look at the TwiML response we'll be sending. TwiML is a set of verbs and nouns written in XML that Twilio reads as instructions. In this case, our instructions inform Twilio to SAY something to the user and then DIAL the support agent's number so the customer can talk to him or her. To make writing TwiML easier, the helper libraries have methods that generate TwiML for you. We use twilio-java to create a TwiML response that will instruct Twilio to SAY something. And with that, you've helped us get a working click-to-call form, ready to be integrated into your application. Now you can run and test your Twilio app. However, you probably want to test it using a publicly available endpoint without having to go "public" with your app. The best option is to use ngrok. Note: For more information about running the application, see the Readme file in the app github repository. ngrok generates a secure URL that forwards traffic to a port, usually 5000, on your localhost server. It allows you to run applications locally but make them a publicly available endpoint via secure tunneling. This allows you to test your application and do all the things you want your app to do but in a secure public space. ngrok is an executable (ngrok.exe) that you run on the command line or terminal. Head over to ngrok's website, download the ngrok.zip file for your OS of choice, then unzip the file into an easily accessible location. For example, on Windows, you can place it in your \Users directory in \AppData\Roaming\<ngrok-directory-name>\ngrok.exe. Then, update your PATH environment variables to the location of the ngrok executable. On Linux or OSX, it's much easier (see the instructions on the ngrok site). Before you start ngrok, it might be a good idea to have your Twilio Console open. $ ngrok http 4040 -host-header="localhost:4040"
The port number "4040" is arbitrary. If your local server is running on another port, replace "4040" in the command with the appropriate port number. This will start ngrok. A running instance of ngrok will appear in the terminal showing the local web interface (in this case http://127.0.0.1:4040) and the public URL (in this case, https://28dd499b.ngrok.io). The forwarding public URL needs to be set in the Twilio Console. In the Console, select the active phone number you set in the environment configuration file and enter the public URL from ngrok (shown above) in the "A Call Comes In" field under Voice & Fax. Be sure to select Webhook from the dropdown list. Each time you restart ngrok a new public URL will be generated. You will need to update this URL in the Console any time you restart ngrok. Automated Survey - Instantly collect structured data from your users with a survey conducted over a voice call or SMS text messages. SMS and MMS Notifications - Send SMS alerts to a list of system administrators when something goes wrong on your server. Thanks for checking this tutorial out! Tweet to us @twilio and let us know what you're building!